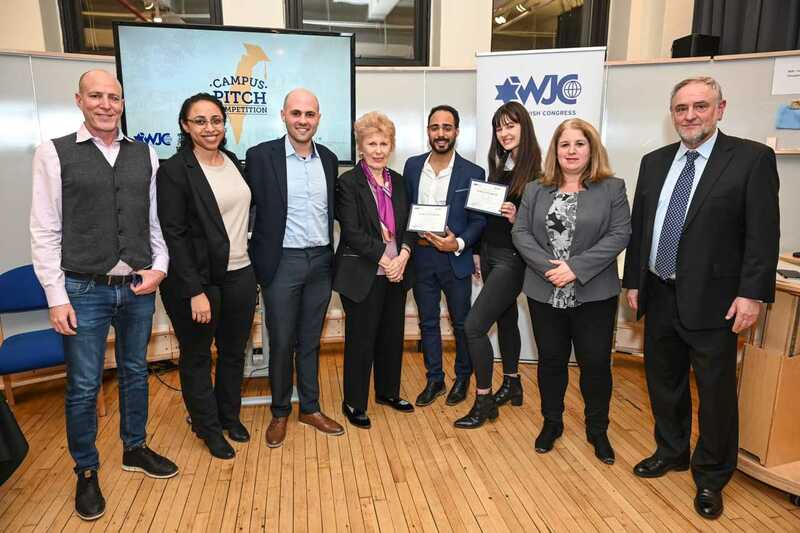 The World Jewish Congress and Israel’s Consulate in New York held the fourth annual East Coast Campus Pitch Competition on Thursday, awarding a $5,000 grant to Baruch College students Yerain Abreu and Shoval Tshuva for their initiative to unite Israel Defense Forces and US Marine Corps veterans to change the discourse on Israel’s perception abroad. 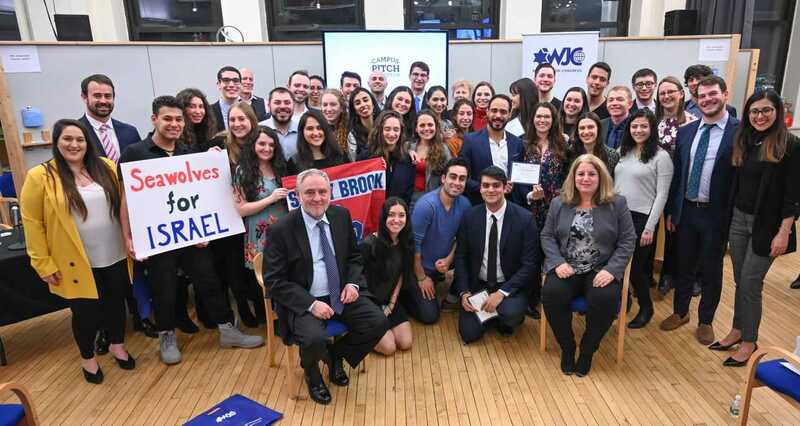 This year’s Campus Pitch Competition, which launched in the tri-state area in 2015 and has since spread across the US and to the United Kingdom, invited university students in New York, New Jersey, Delaware, Pennsylvania, and Ohio to pitch their ideas for an event, strategy, or initiative that explores a new and groundbreaking approach to Israel advocacy on their campus community. Dozens of college students gathered at Innovation Loft in New York City on Thursday for the grand finale of the competition to see the four finalist teams from New York University (NYU), Stony Brook University, Columbia University, and Baruch College pitch their projects to a panel of judges consisting of WJC North America Chair Evelyn Sommer, Israel’s Consul for Public Diplomacy Galit Peleg, entrepreneur Guy Poreh, IsrAID’s Tumai Kafri, and past competition winner Orr Izkovich. At the decision of the judges, the competing teams were also to be awarded $2,500 each to help bring their projects into fruition. The runners up were New York University Freshman Yonatan Lean, who presented his concept for his art platform “Redefining Zionism;” President of Student Supporting Israel at Columbia University, Ofir Dayan, who proposed a week full of events, being called Israel Liberation week; and Eilona Feder, Neil Dasgupta, and Naomi Gluck, of Stony Brook University who pitcher their idea of an Israel Weekend, full of cultural and political event to educate their campus’ student body. 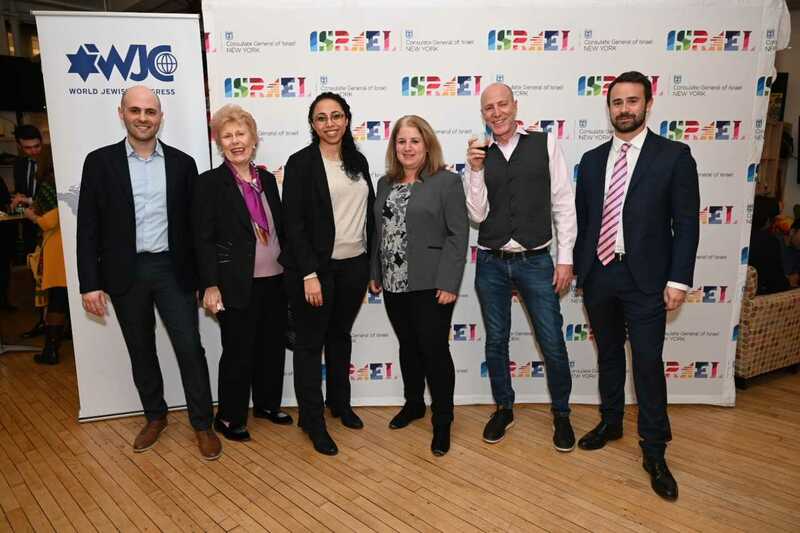 (L-R) Guy Poreh, Toumai Kafri, Orr Izkovich, WJC North America Chair Evelyn Sommers, Campus Pitch Winner Yerain Abreu, Campus Pitch Winner Shoval Tshuva, Galit Peleg, and WJC CEO Robert Singer.